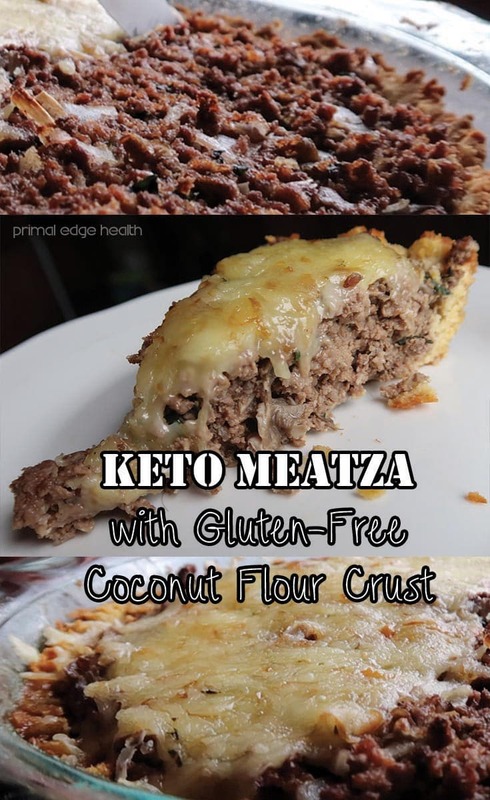 The beef heart and the savory gluten-free crust really shine in this keto meatza recipe. 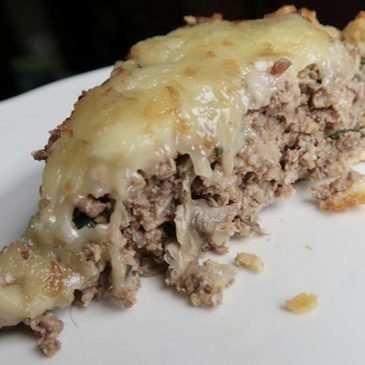 Mixing the beef heart in with ground beef enhances the nutritional value and flavor of the meat pie. The savory coconut flour crust is very easy to work with and can be prepared in under 5 minutes. This crust has been my “go-to” crust for savory dishes like quiches, pot pies and other meat pies. It’s a kid-friendly beef heart MEATZA! Serve with a side salad and dressing or cauliflower rice. 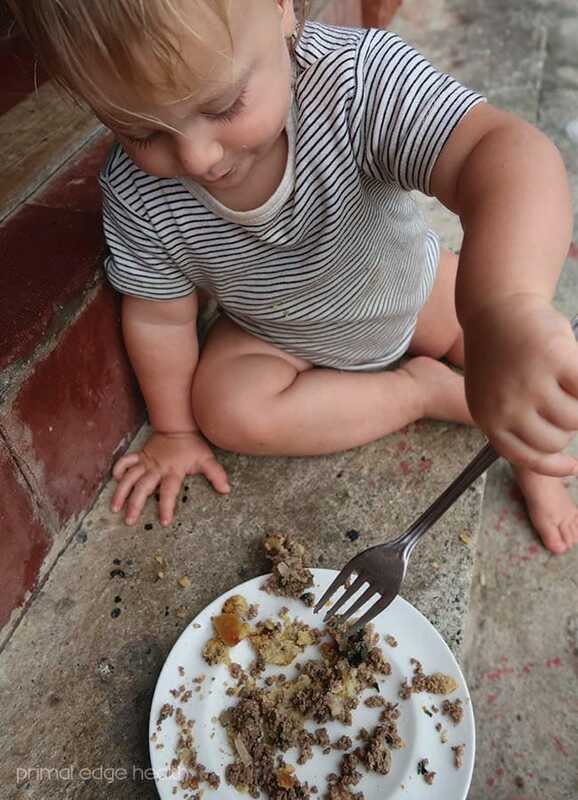 It feels good to be able to make something nutritious that the whole family can enjoy together. I love when everyone paused their activity, sits down and nourishes themselves together. If you or anyone in your family (like children!) are really into cheese, you can spread 1.5 to 2 cups of shredded cheese all over the top. 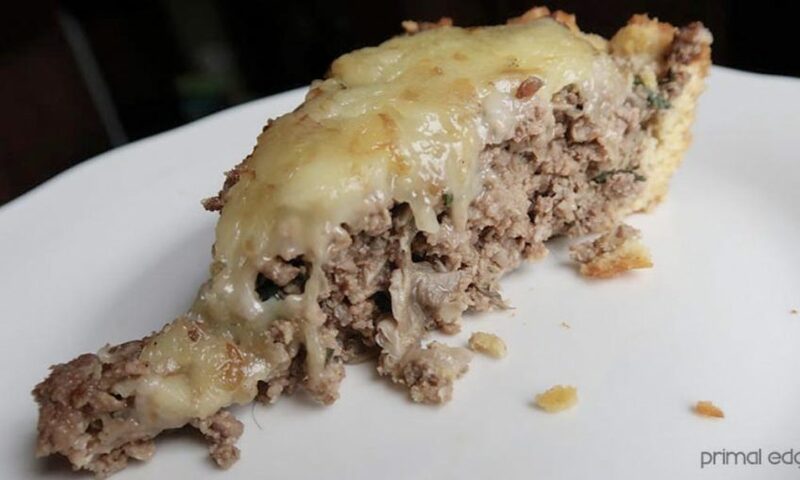 As you can see in the video below, I topped half with cheese and left half with just meat. Both the crust and the filling are very customization. You can probably make this recipe with whatever you have on hand in the fridge. YES! 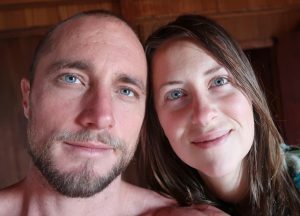 Mixing ground organs like grass-fed beef heart and grass-fed beef liver with ground beef is my favorite way to provide extra nutrition for my family. We can regularly consume organ meats with ease and pleasure. 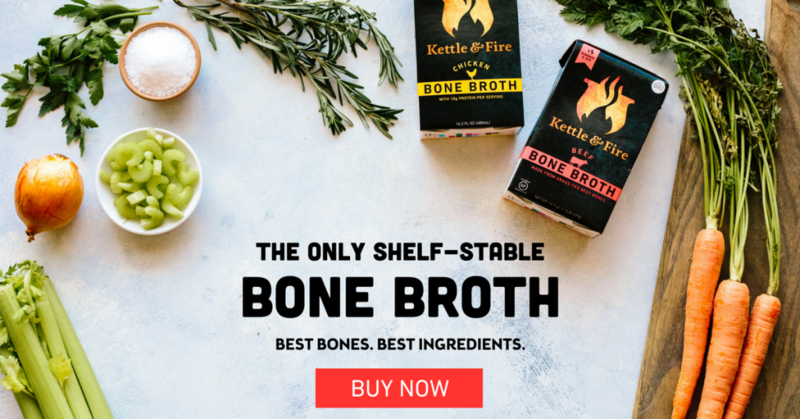 I recommend purchasing from US Wellness Meats if you want to order meat online. They offer high-quality bulk ground beef, grass-fed liver and a ground beef/heart mixture. 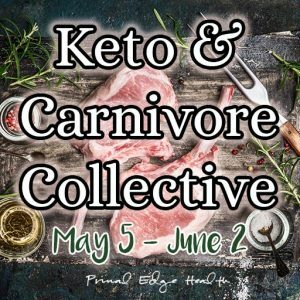 Learn how to make delicious low-carb and ketogenic baked goods! 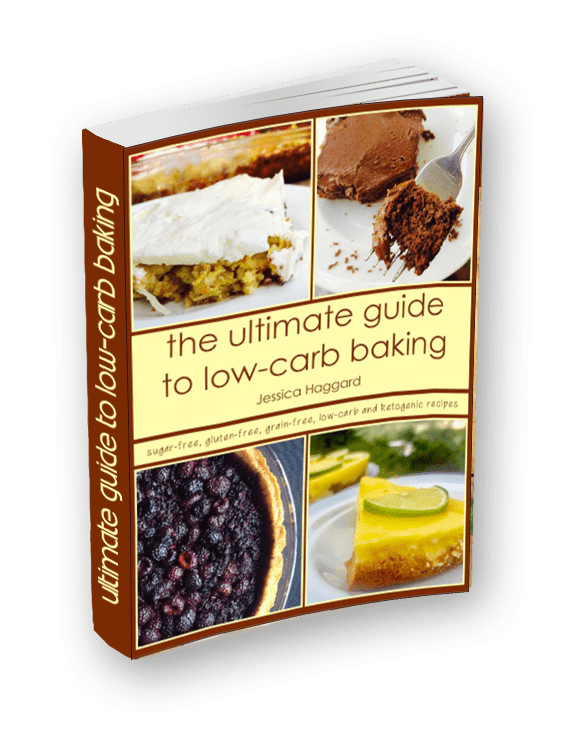 Get The Ultimate Guide to Low-Carb Baking! Indulge in deliciousness while skipping on grains and sugar. Take the guess work out of super healthy treat making. Learn how to omit the carbs but never nutrients nor flavor. Make it cheesy or keep it dairy-free, this dish is a win for the whole family. Saute mushrooms in butter for 5 minutes. While they saute, chop the onion and garlic. Add to the pan and cook until soft. Add the meat and basil to the mushrooms. Stir until lightly browned. While the meat cooks, prepare the crust. Whisk two eggs in a small bowl. Combine butter, oregano and salt in a second bowl. Pour in the eggs and whisk to combine. add the coconut flour, stir until dough forms. Press the dough together into a ball. Grease a pie plate, spread the dough from the center out to the edges. Make it even. Prick a few times with a fork. Prebake the crust for 10 minutes, it should just turn golden brown. Once the crust is prebaked, prepare the filling. Add the meat to a mixing bowl and stir in the eggs. Add to the crust and sprinkle the optional cheese on top. Return to the oven for 15 to 20 minutes, until the cheese melts. Let the pie sit to cool and settle for 10 minutes. Slice into 6 portions and serve warm. 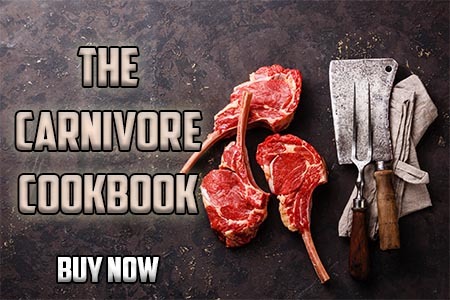 Macros per serving: 50 g fat, 10 g carb, 7.5 g net carb, 24 g protein (without cheese) If you shop online, use this link to purchase high-quality butter from US Wellness Meats and we will be grateful and receive a small commission. I made this for tonight’s dinner (minus the beef heart b/c I didn’t have any). I added chopped spinach to the filling. It turned out delicious!! Great idea to add in the leafy greens – you can pack a lot of variety with different greens and fresh herbs. Jessica: In the printed version of the recipe, you forgot to list the two eggs that are added to the meat mixture (as shown in the video). I find that the addition of these eggs really helps with the solidity of the pie. Thanks for such a great recipe! Thank you! I’ll be sure to update this! Jessica: Have you tried this recipe using dried basil? That’s all I have on hand! Any recommendations about how much dried basil to use? I’ve experimented with dried basil. 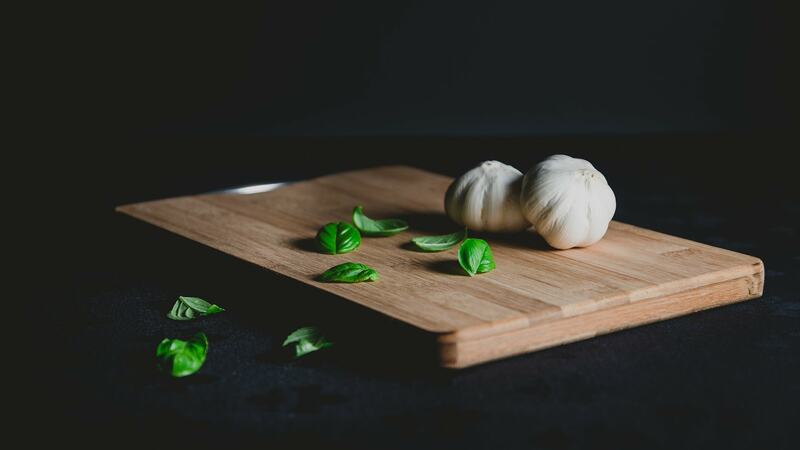 About 1/4 cup of dried basil replaces 1/2 cup of fresh. Delicious either way!